I am not a fan of Formula One racing or any car racing for that matter. But Niki Lauda is an intriguing figure and Rush received very high ratings by critics and the viewing public alike. So I went to see this new film by Ron Howard. 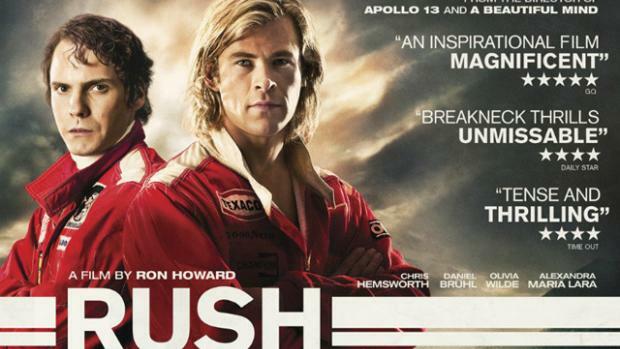 The story is a simple one-a rivalry between Niki Lauda and James Hunt for the World championship. What makes the film work is that Lauda is nearly killed in the process and the director Ron Howard is able to get to feel how life threatening this sport really is. And if you don’t believe this is a sport, go to one of the go-car racing tracks and see how unpleasant it is to drive and steer the children’s version of a formula one racing car. But all in all, the film is a bit overrated. However, if you love racing, this film will bring you great joy. This entry has been viewed 380 times.